The perfect garden shed can provide you with exactly the garden storage you need to hide away all of your garden knickknacks, tools, garden furniture and possibly yourself when the weather starts to get colder. 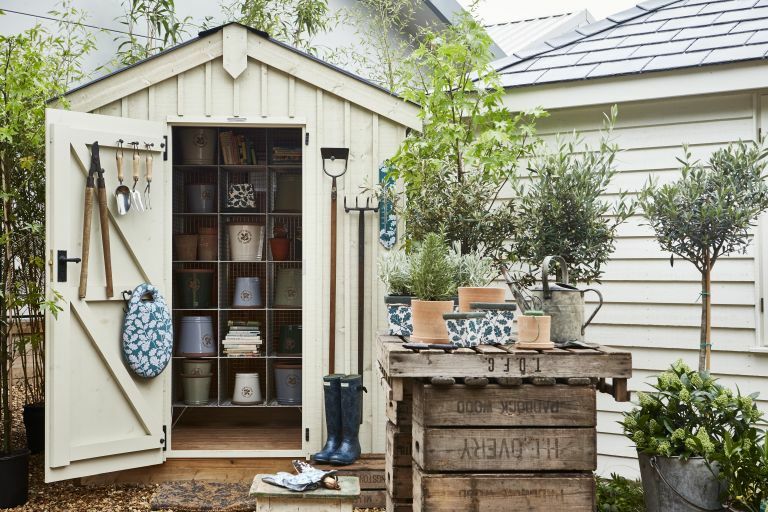 Not only will you be providing yourself with a bit of outdoor storage to keep the clutter out of your garden, It could be a little personal haven for when you want some time to enjoy your own company; a workshop where you can tinker away at your garden projects; a garden room to add to your house; or simply just a place for you to escape for a quiet cup of tea. Have a look at our guide to designing and planning a garden from scratch. Once you feel you are sufficiently informed, why not have a look at our pick of the best garden sheds? Decide on your budget. Buy the best quality you can afford. An elegant and interesting garden shed could completely transform your garden and change the way you think about the space. Choose your site carefully and work out what size shed you can fit into your space. Avoid areas that flood, don’t put it under trees where leaves and branches may fall on the roof, and don't choose the garden's only sunny spot for it. Think about whether you want to show it off or screen it – if the latter, you'll need space to plant screening hedges, too. Leave room all around your shed so that you can maintain it when necessary. Garden sheds in very exposed positions may need to be anchored to the ground. Think about convenience. Don’t automatically put the shed at the bottom of the garden. If you want electricity, installing it at a distance from the home adds cost. What will you use your shed for? Work out what you want to use it for. If you plan to use the garden shed as a home office, you may need insulation, power, and water. Best to decide before you invest. Consider if you need planning permission; make a call to your council’s planning department to be on the safe side. Listed properties, homes in conservation areas or within an area of natural beauty, or where the shed will be near a boundary may require consent first. Check before you place your order. What kind of base will your shed need? The base must be level and secure. Install a concrete base, lay paving slabs or use the Hawklok system that creates a strong, but transferable system if required. It is completely possible to pour a concrete slab yourself, and all you need is a level and well packed surface to start on. Then you can lay flagstones on top, before constructing your new shed. Make the base the same size as your shed or you will get splash back when it rains, or add guttering to collect the rainwater for use around the garden.